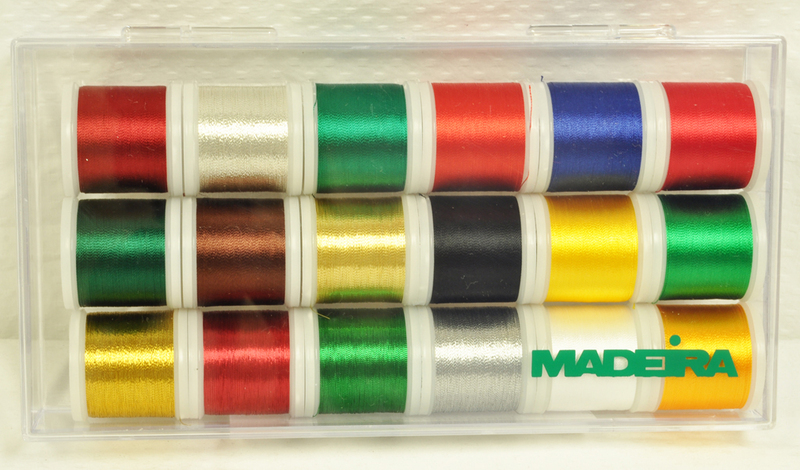 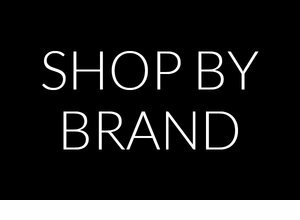 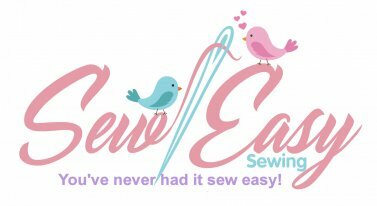 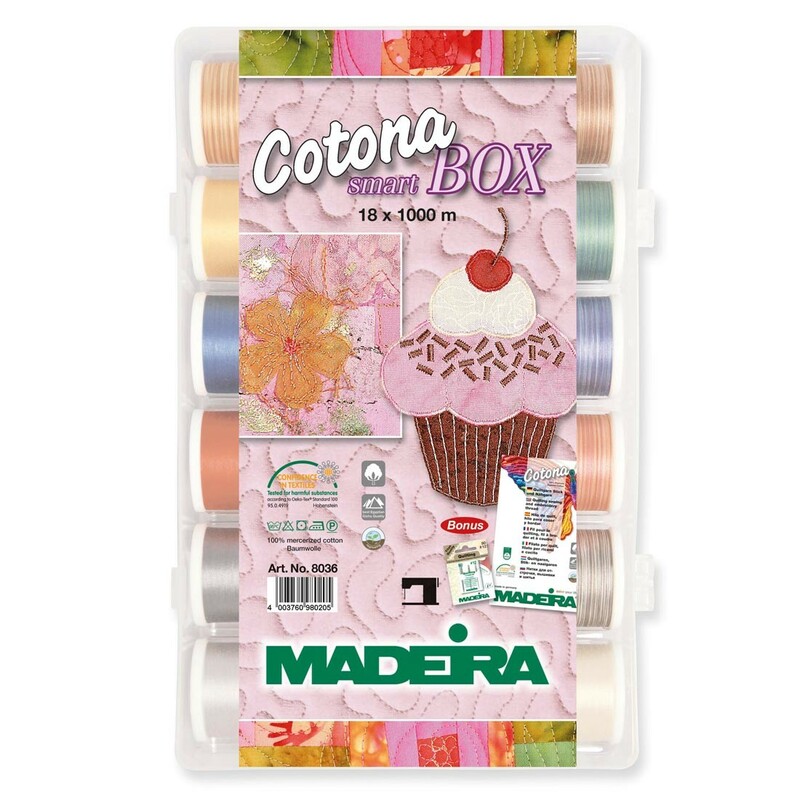 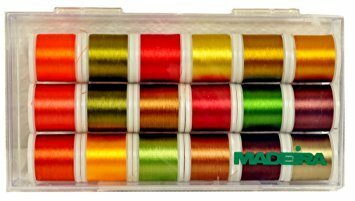 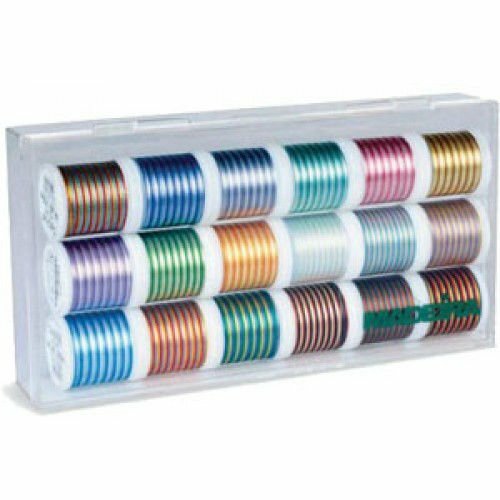 We carry multiple thread brands, styles, weights, and colors for sewing, serging, embroidery, and quilting. 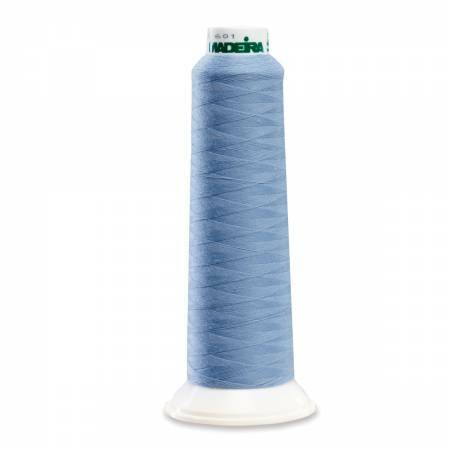 40 weight is designed for longarm quilting, decorative stitching and top stitching when you want the stitches to show. 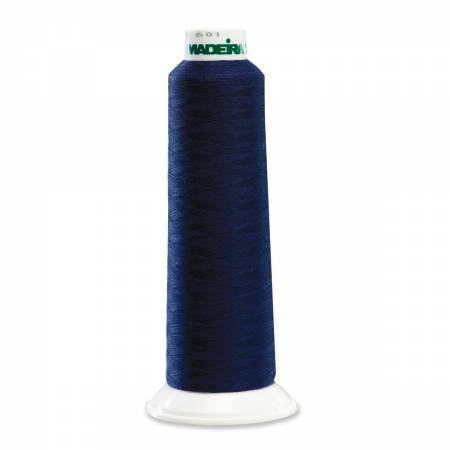 50 weight is ideal for general construction, piecing and appliqué. 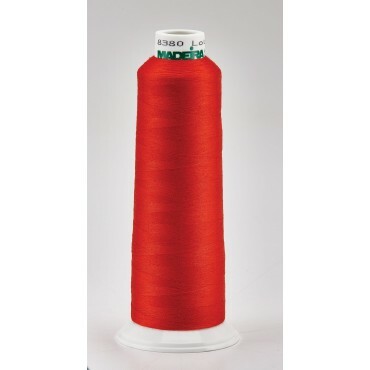 Rayon or 100% polyester Polyneon. 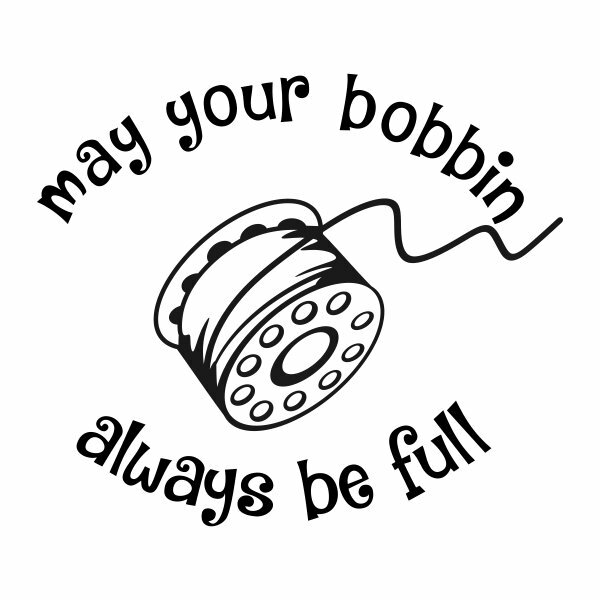 For small lettering and fine detail, use No. 60 weight. 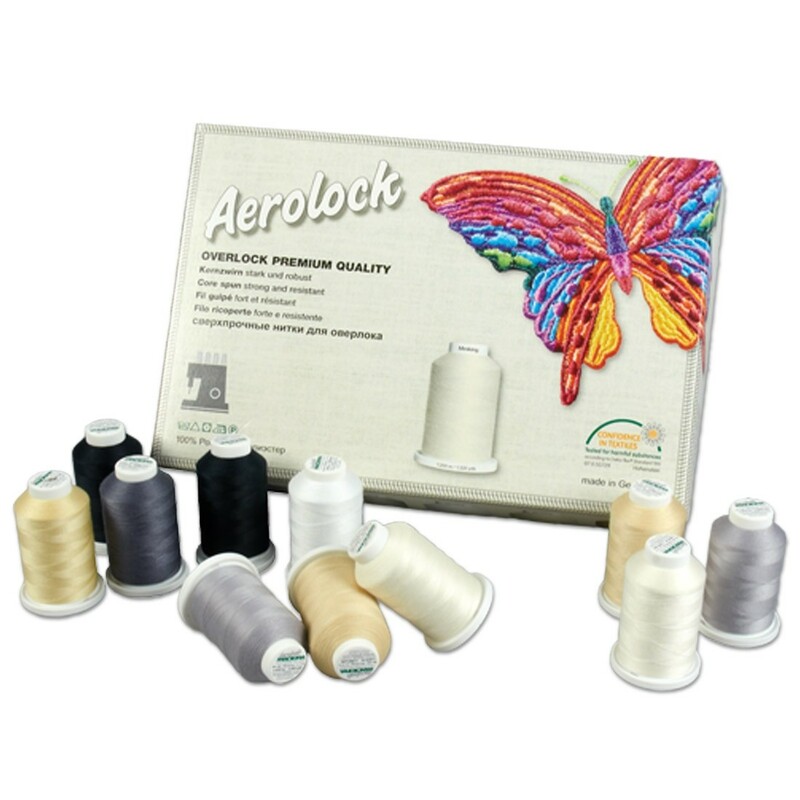 Both Classic Rayon and 100% polyester Polyneon are high quality embroidery threads and work well on high speed embroidery machines. Produced from wood cellulose, a natural fiber, Classic Rayon gives a lustrous, subtle sheen for a classic, high-end look – Choose Classic Rayon for subtle results with low key luster. 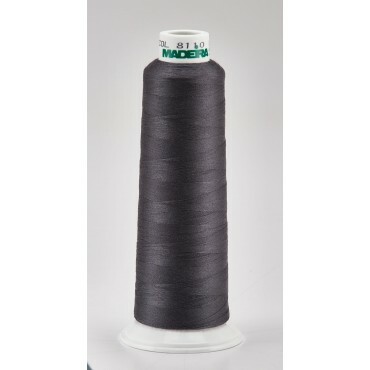 As a man made fiber, Polyneon produces a desirable shine – Choose Polyneon for embroidered garments that may be bleached. 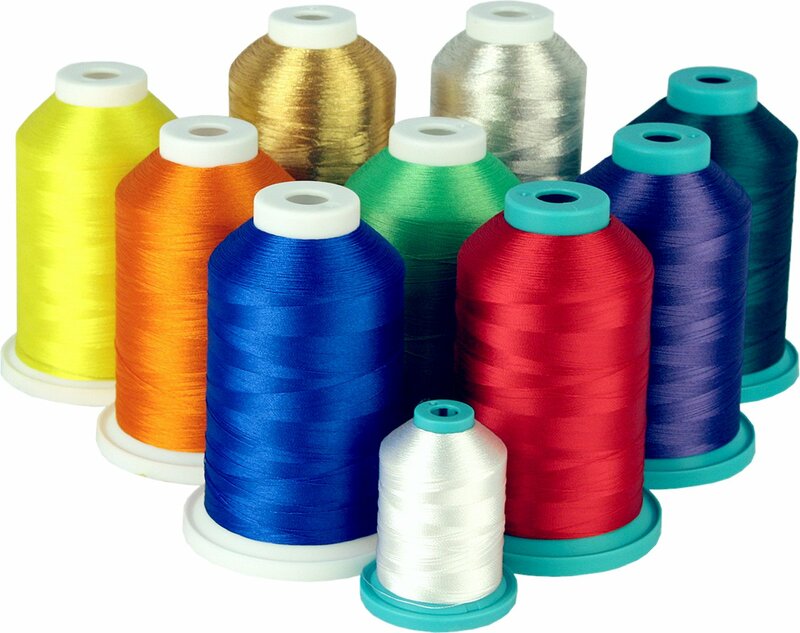 Serger thread is finer than regular sewing machine thread, in order to avoid bulky seams. 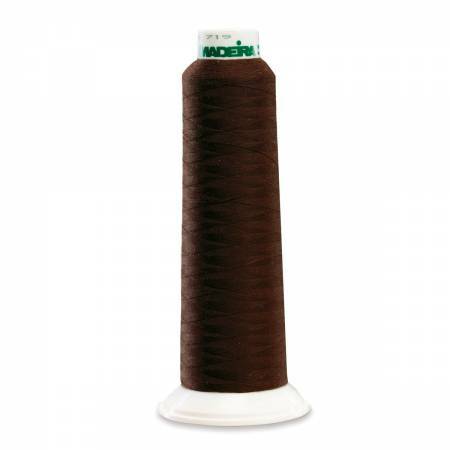 It must be smooth and consistent in diameter. 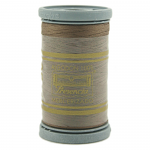 Serger thread should not leave a lot of lint, so that it does not clog the serger. 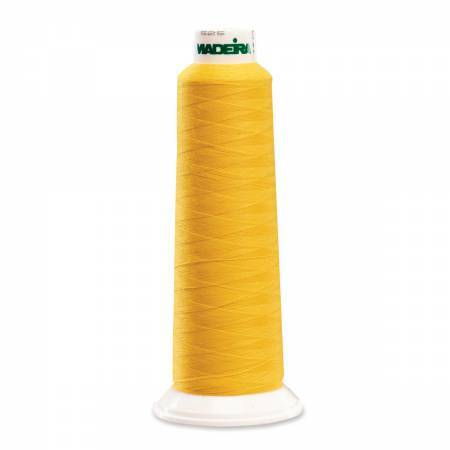 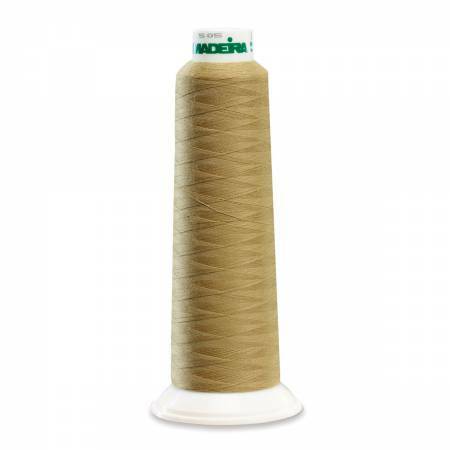 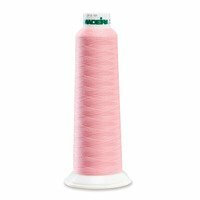 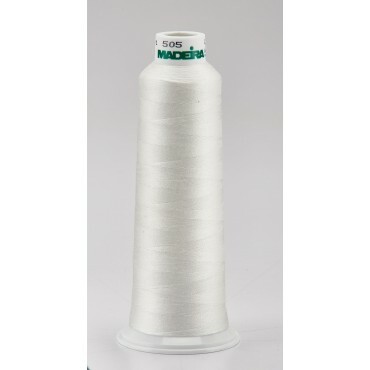 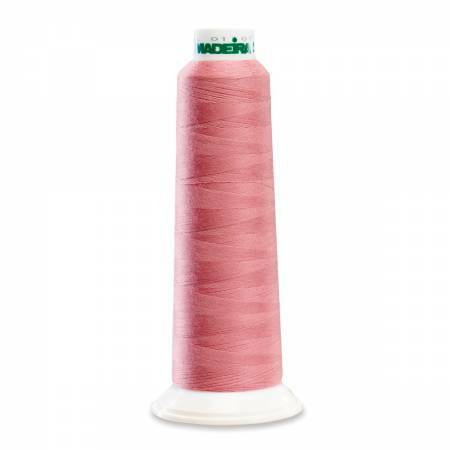 Serger thread is sold on a large spool, called a cone, and generally has a length of 2000 to 3000 yards. 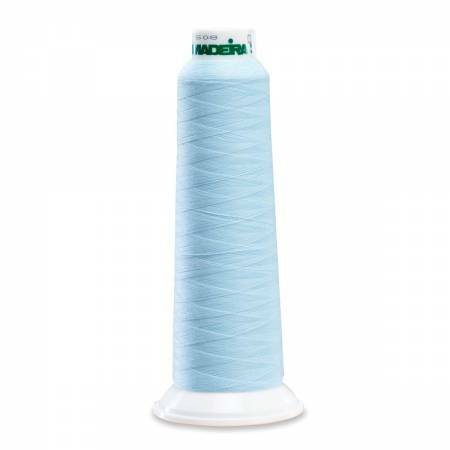 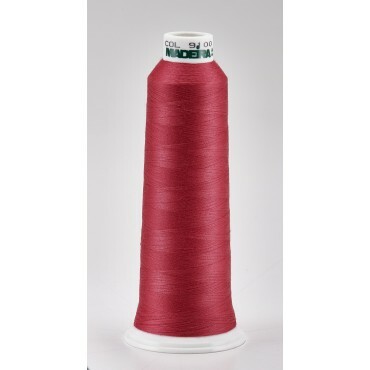 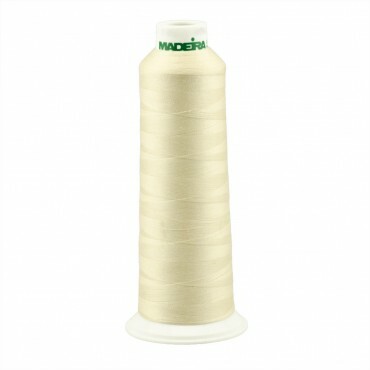 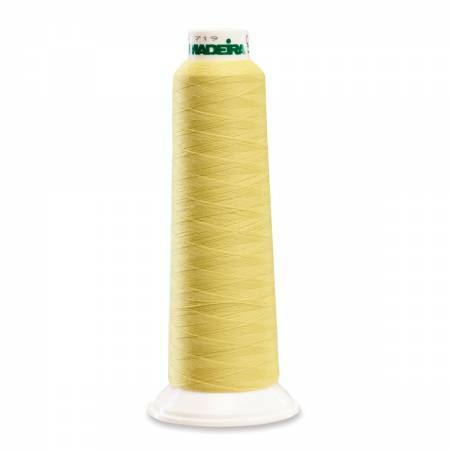 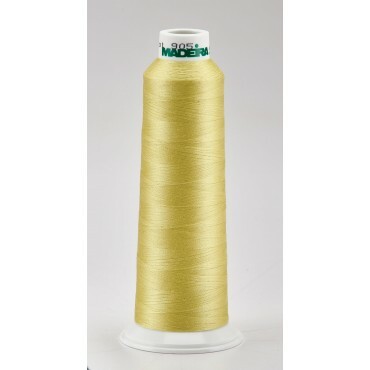 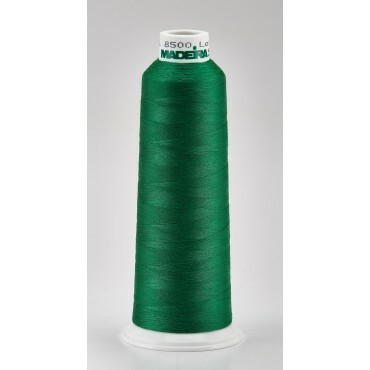 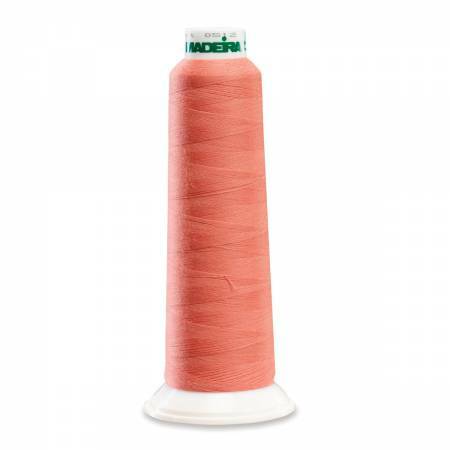 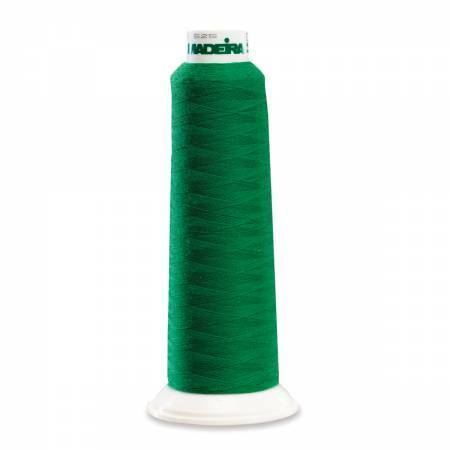 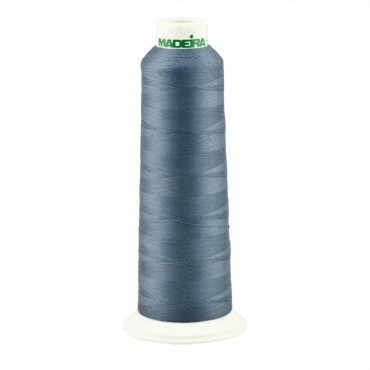 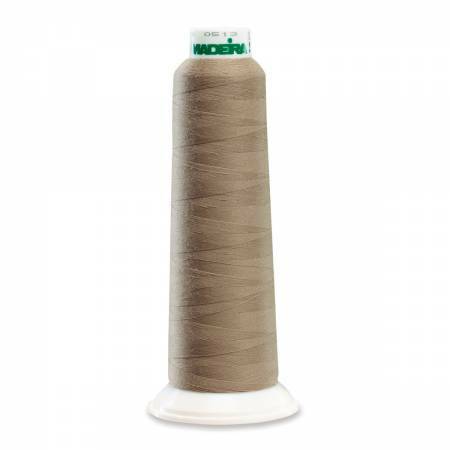 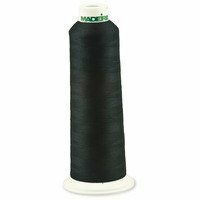 Serger thread can be made of cotton, polyester, nylon, or wooly nylon. 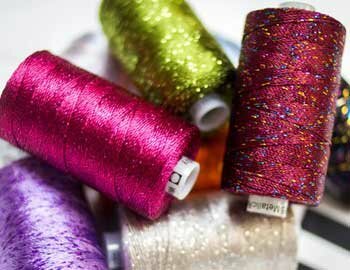 When choosing thread, select colors that blend with your fabric unless you are going for a decorative look.